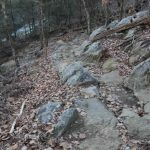 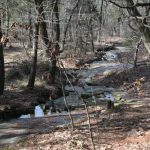 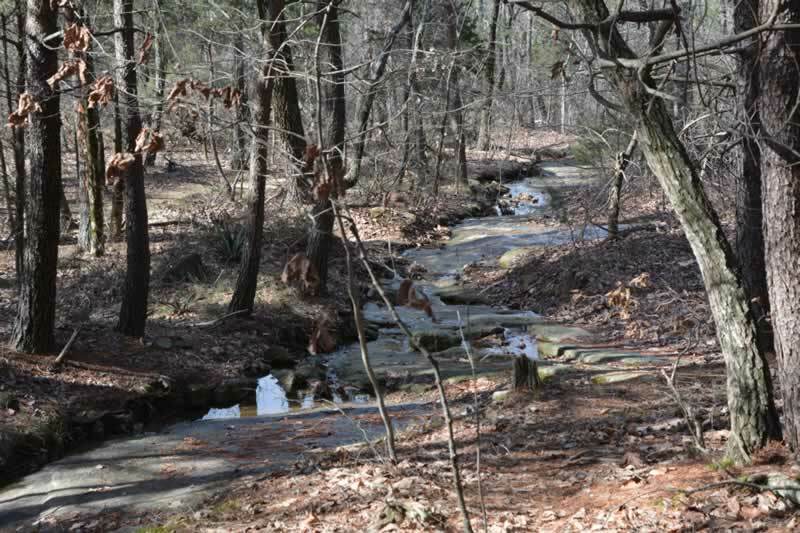 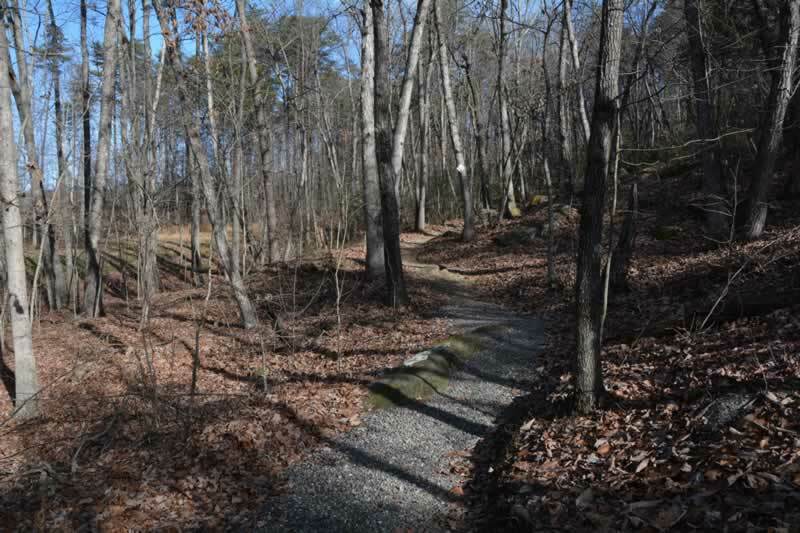 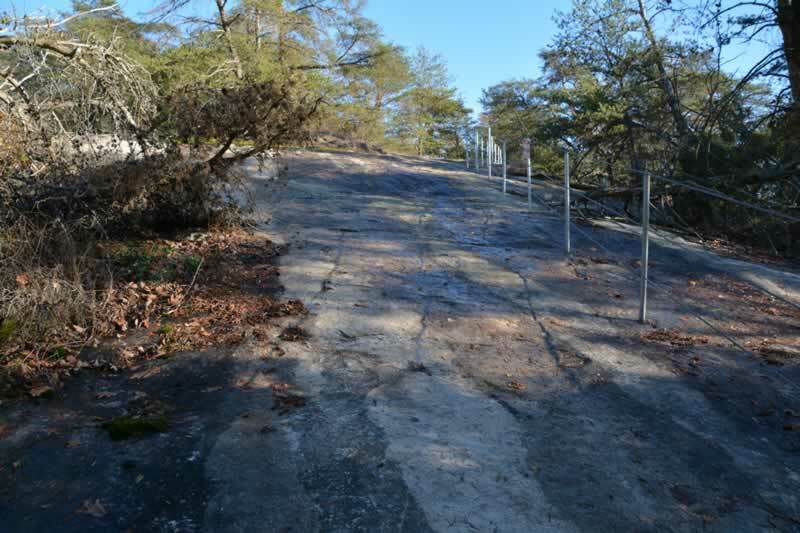 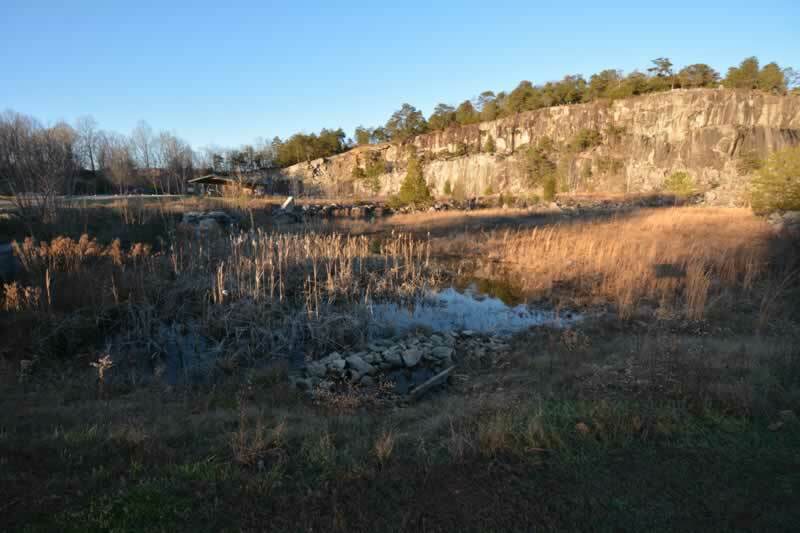 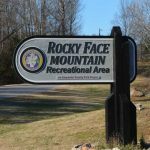 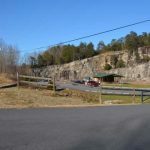 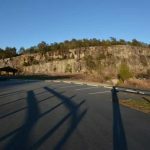 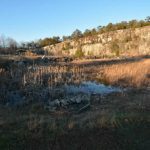 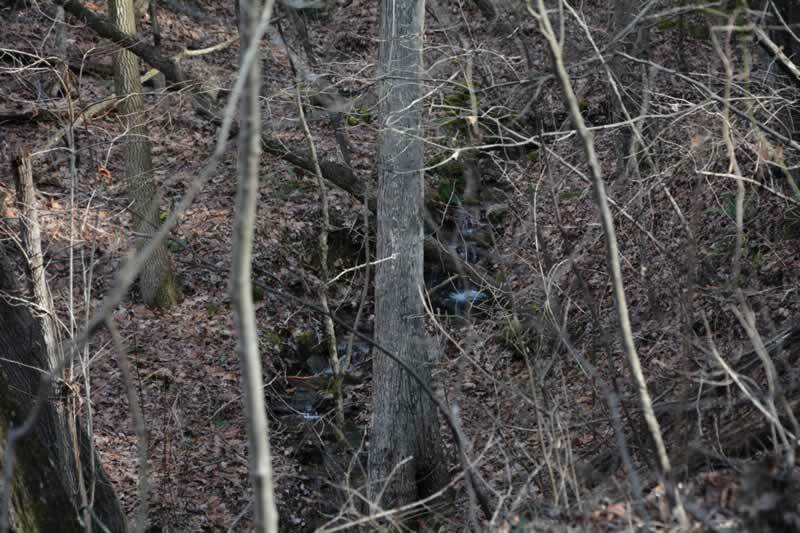 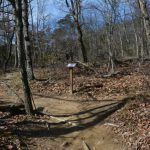 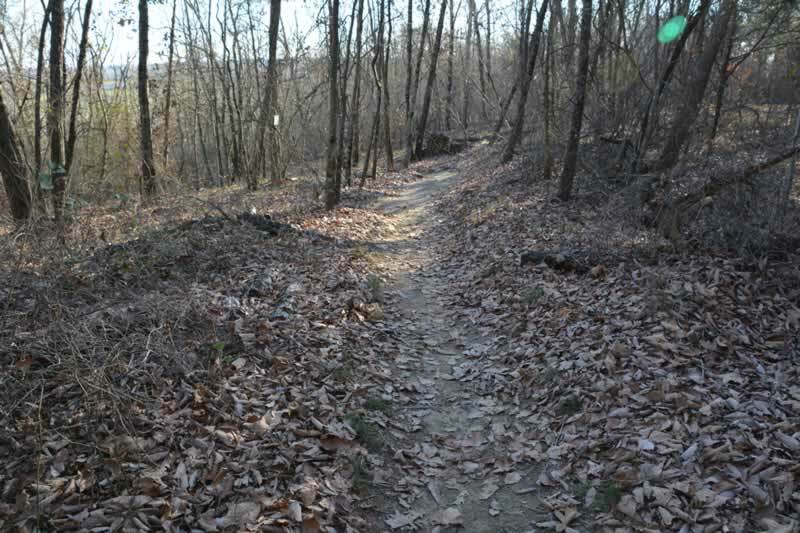 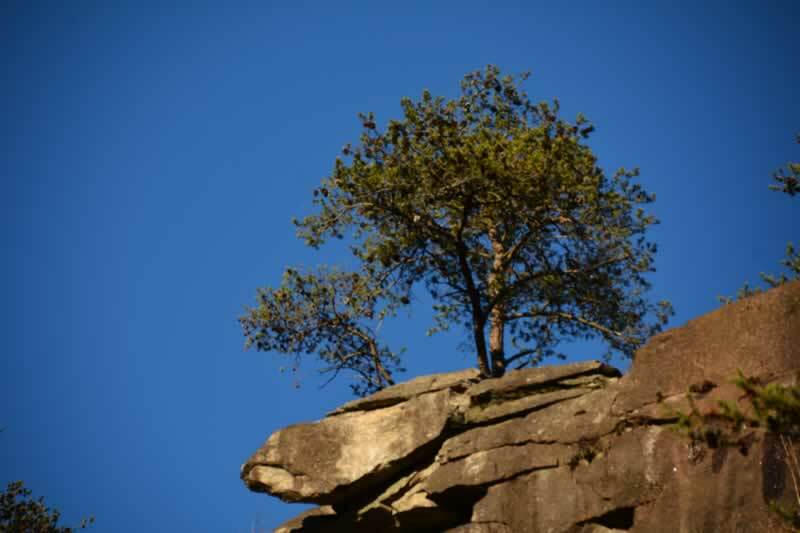 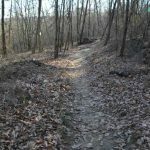 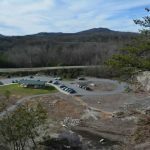 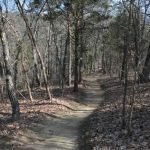 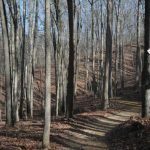 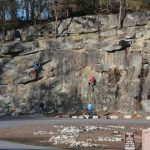 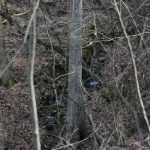 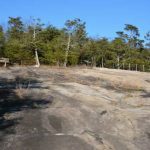 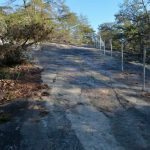 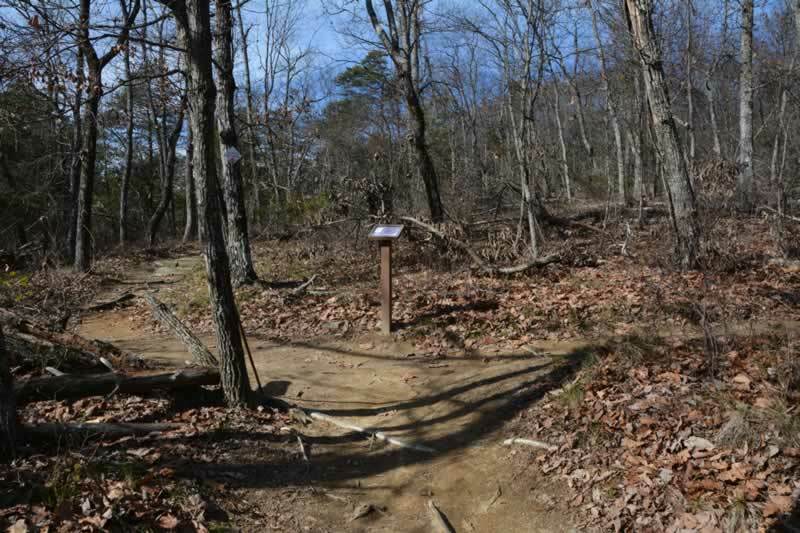 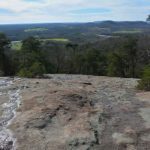 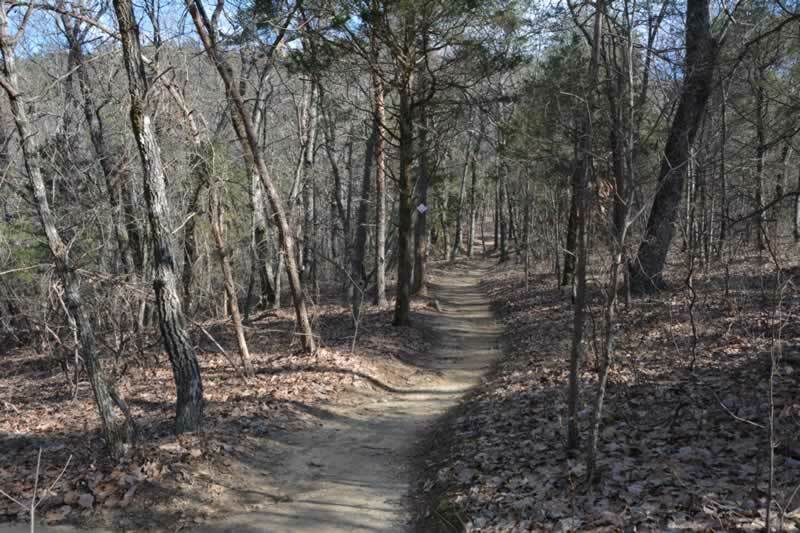 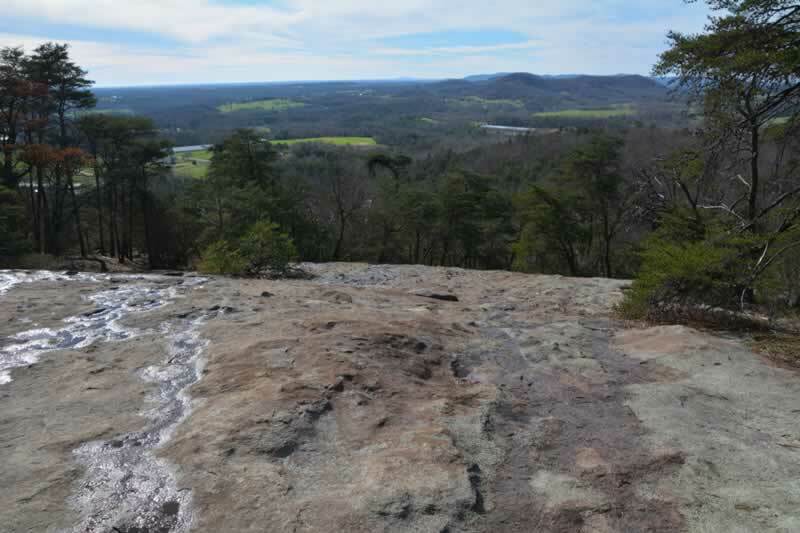 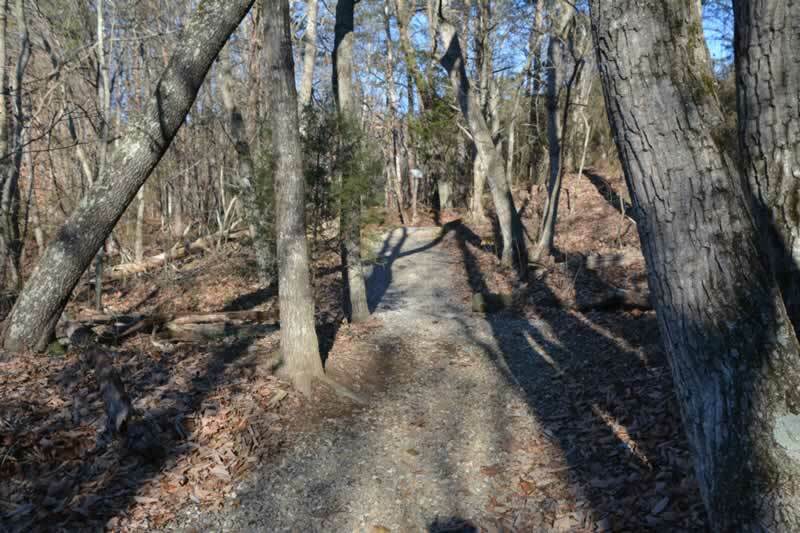 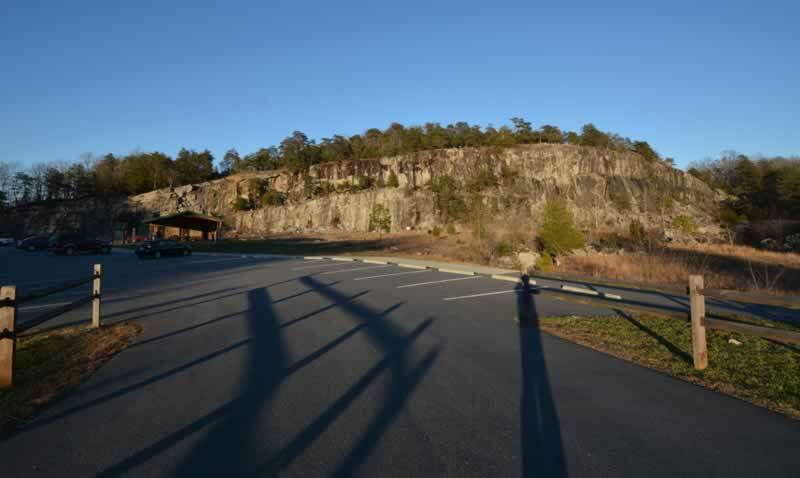 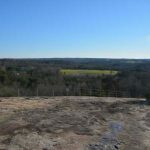 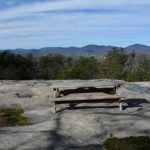 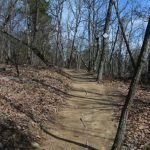 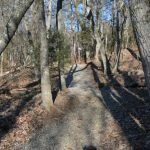 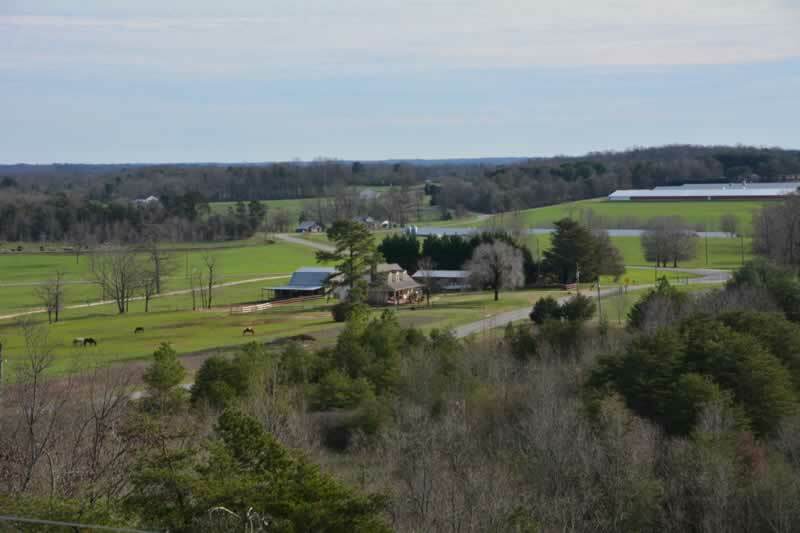 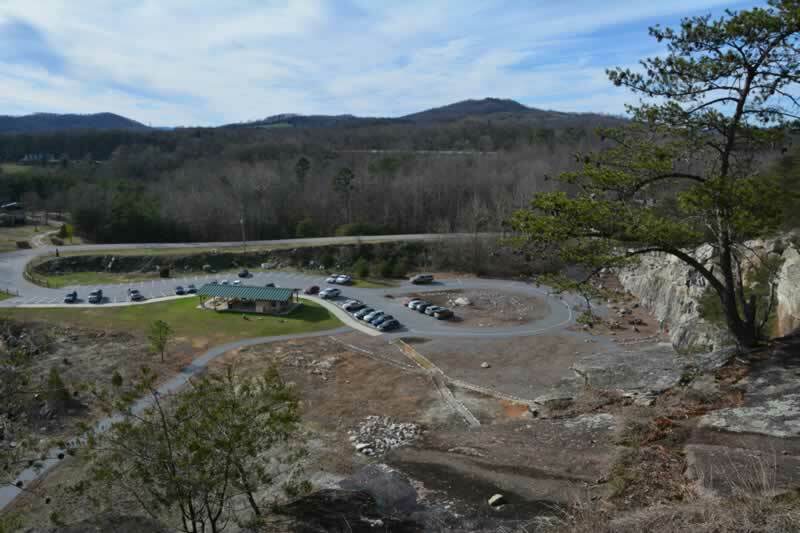 The Rocky Face Mountain Recreational Area is an Alexander County Park Project. 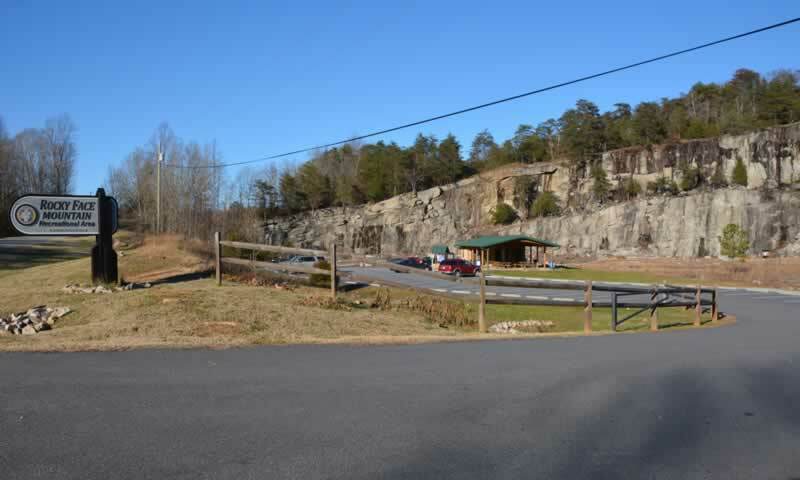 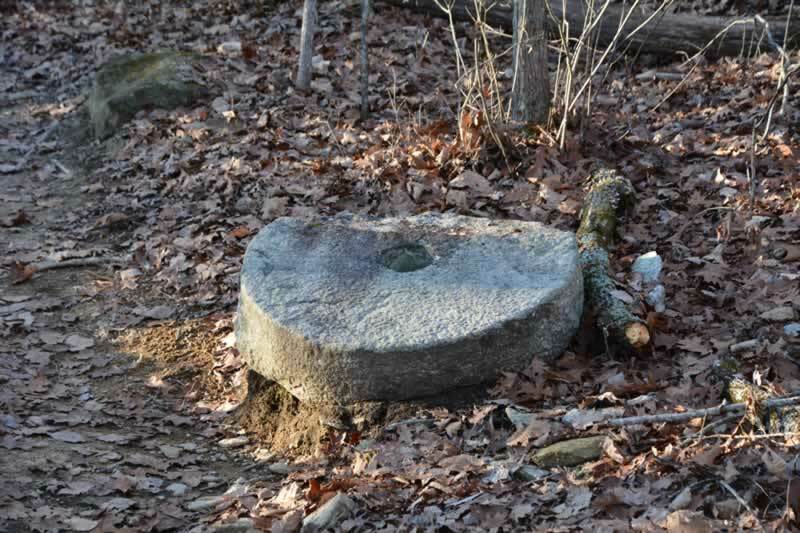 The site was originally a quarry and that’s the source of the Rocky Face. 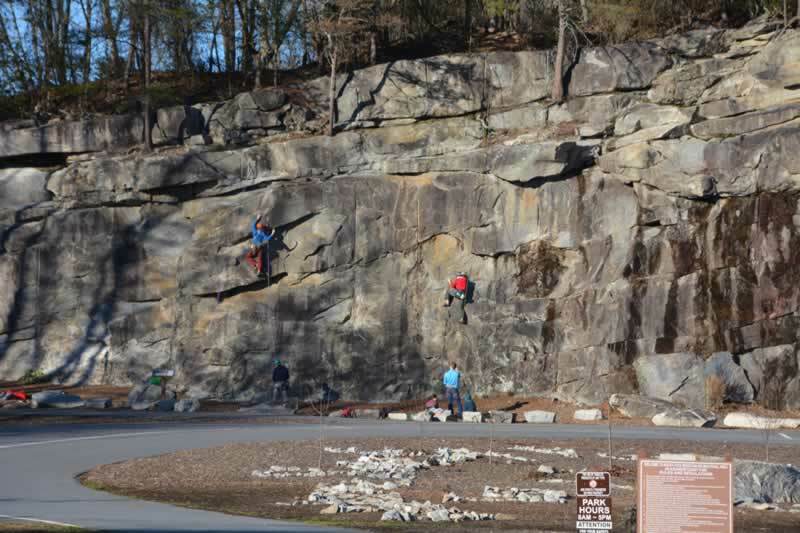 The most popular activities at the park are rock climbing and hiking. 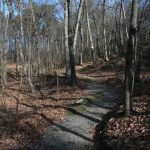 Other activities include camping, picnicking, Geocaching, and special activities. 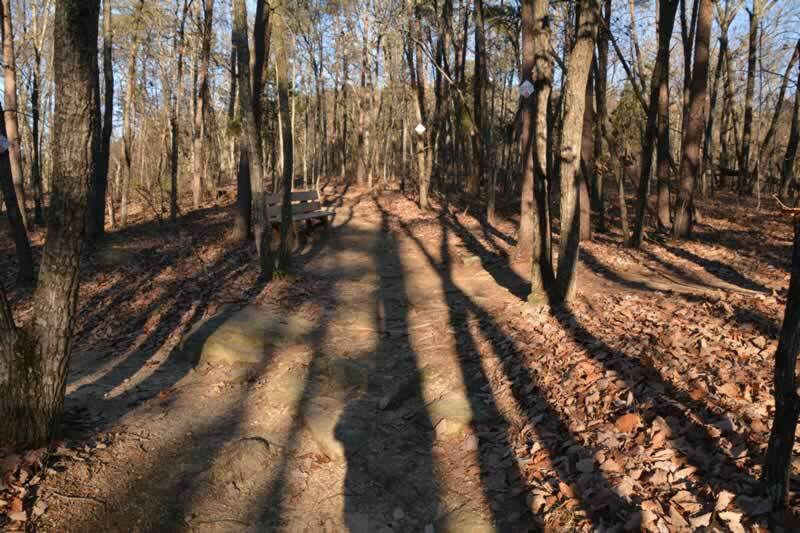 I first visited the Park on December 19, 2015, and again on January 3, 2016. 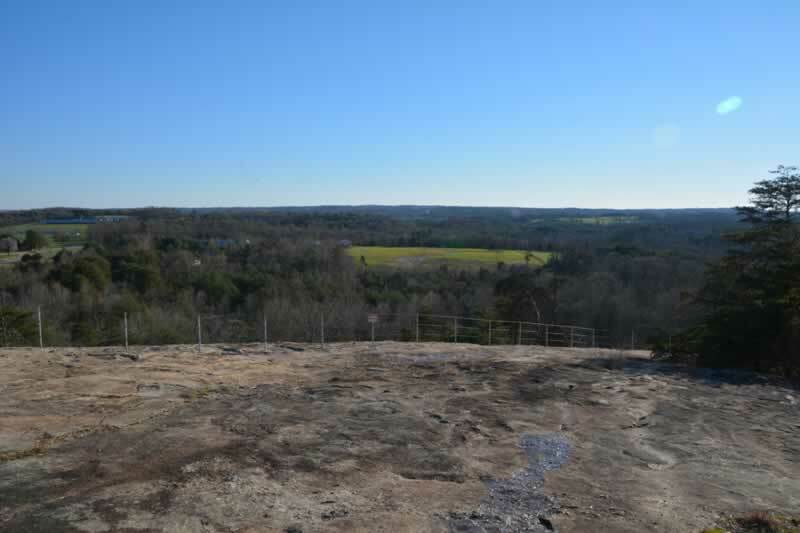 Both visits were very enjoyable. 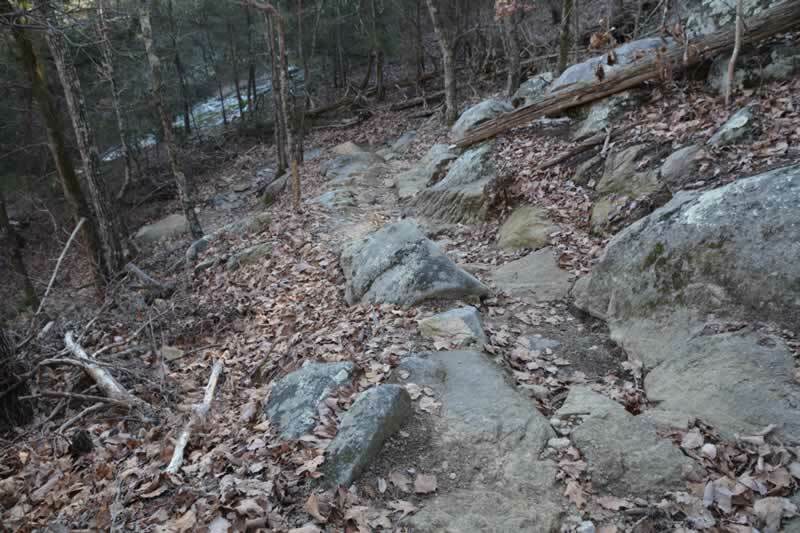 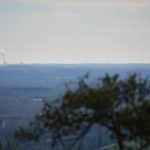 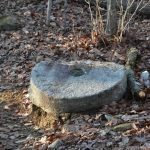 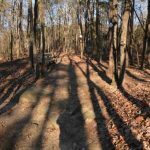 I hiked some trails on the first visit and the others on the second visit. 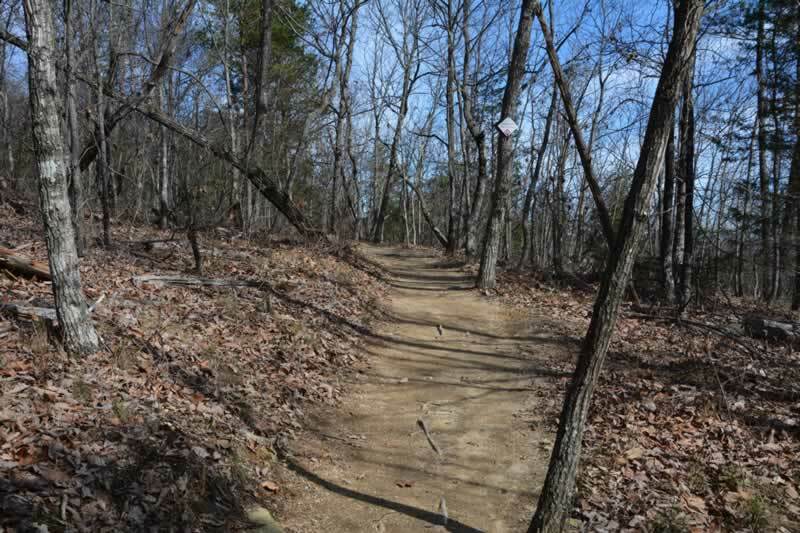 The trails were in very good shape and the most well-marked trails I have ever hiked. 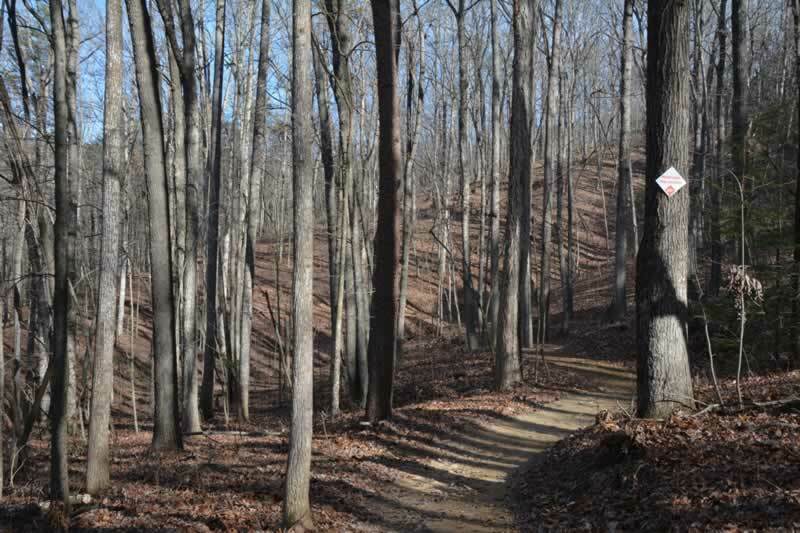 If you pick up a map at the office, the trail markers have numbers and they are also on the map. 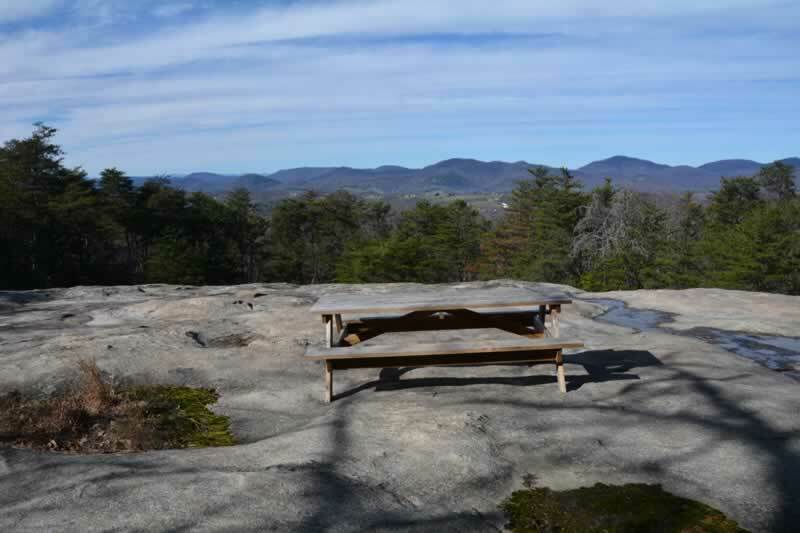 There are also numerous places to take a break, some with picnic tables. 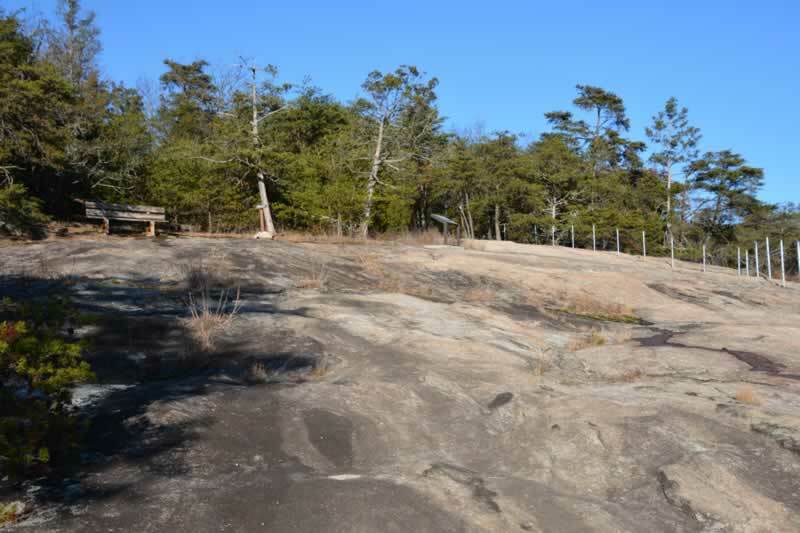 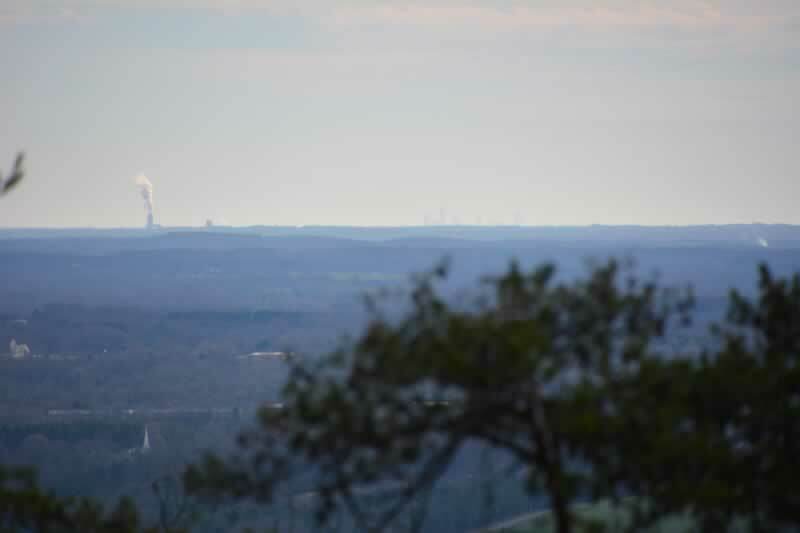 The elevation change is around 750 feet and from the highest areas, you can see the Charlotte skyline on a clear day. 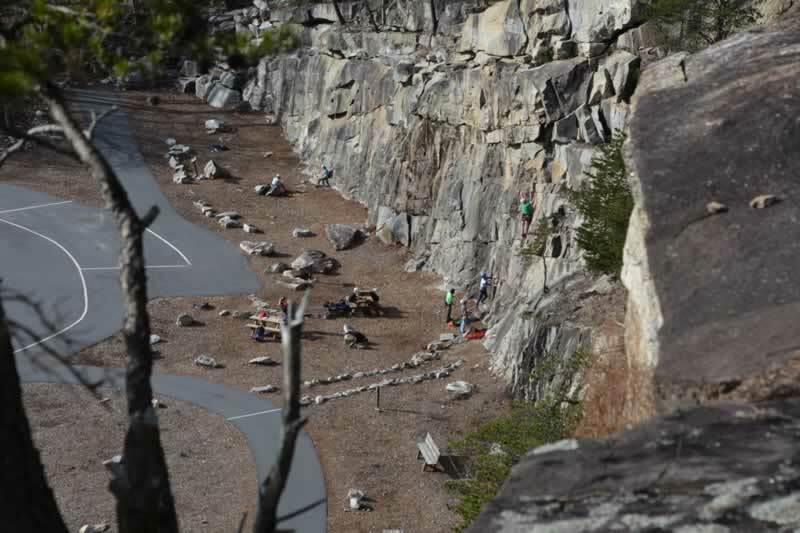 I’m not a rock climber but the rock face was busy with climbers on both visits. 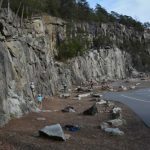 The climbing routes are plentiful and from a non-climbers point of view look to be in very good shape. 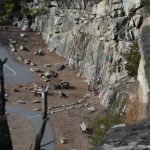 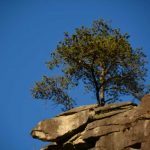 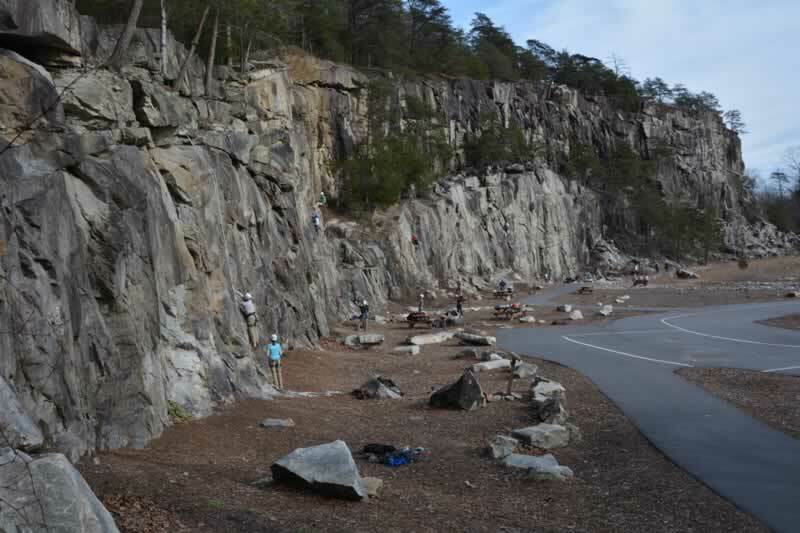 If I were to start rock climbing, I think this would be a great place to practice on routes that are not too high and some for more advanced climbers. 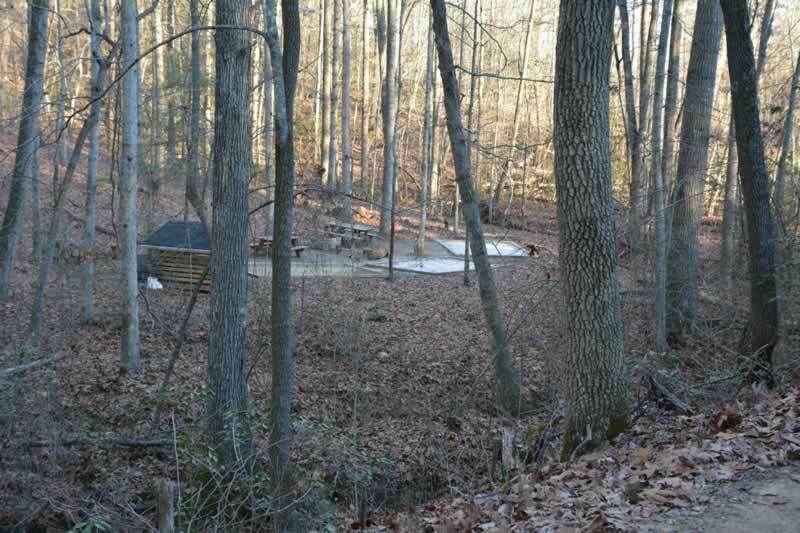 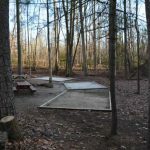 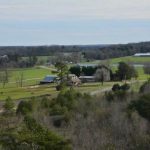 There are 3 primitive campsites. 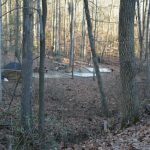 They are all together and best suited for group camping. 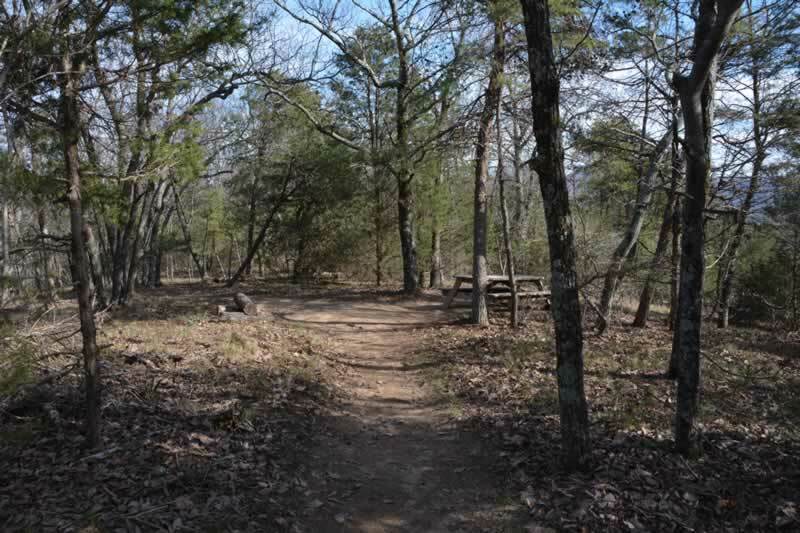 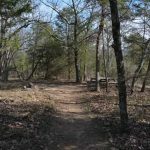 It is primitive camping so you will need to carry all your camping gear in and out. 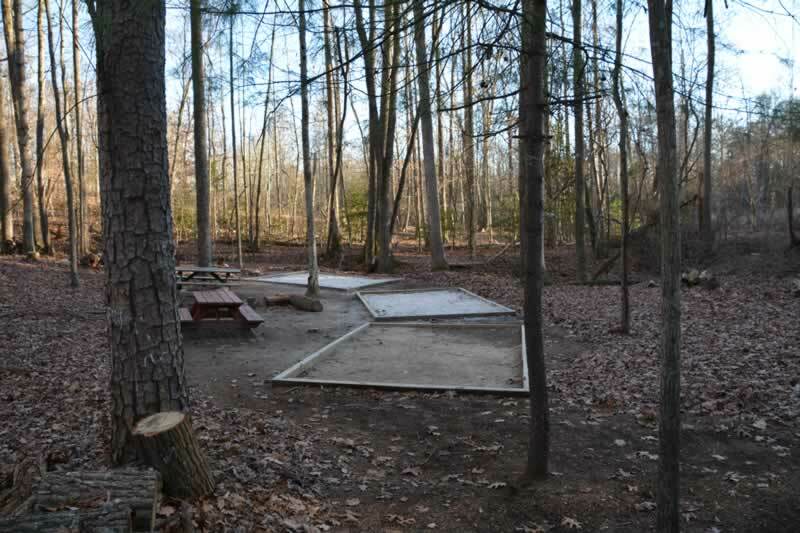 There is a very nice covered picnic area with restrooms and single picnic tables at numerous places around the park. 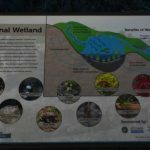 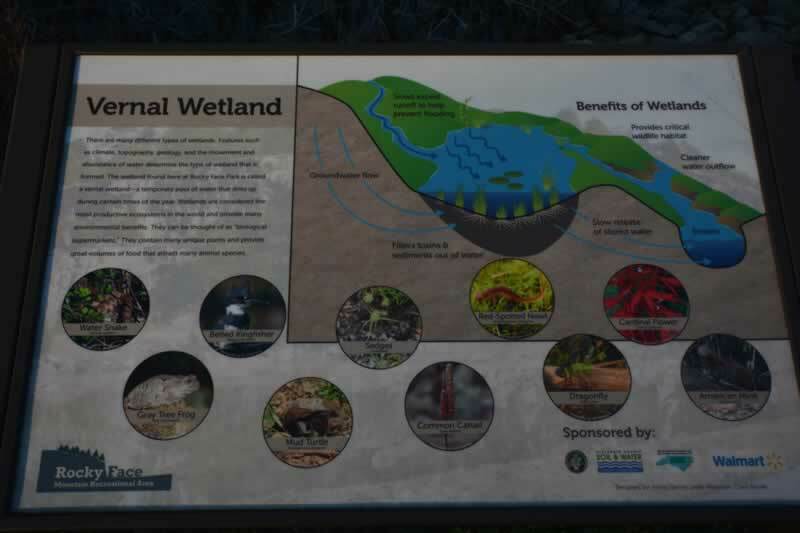 The park also has a wetland area with information about what to look for. 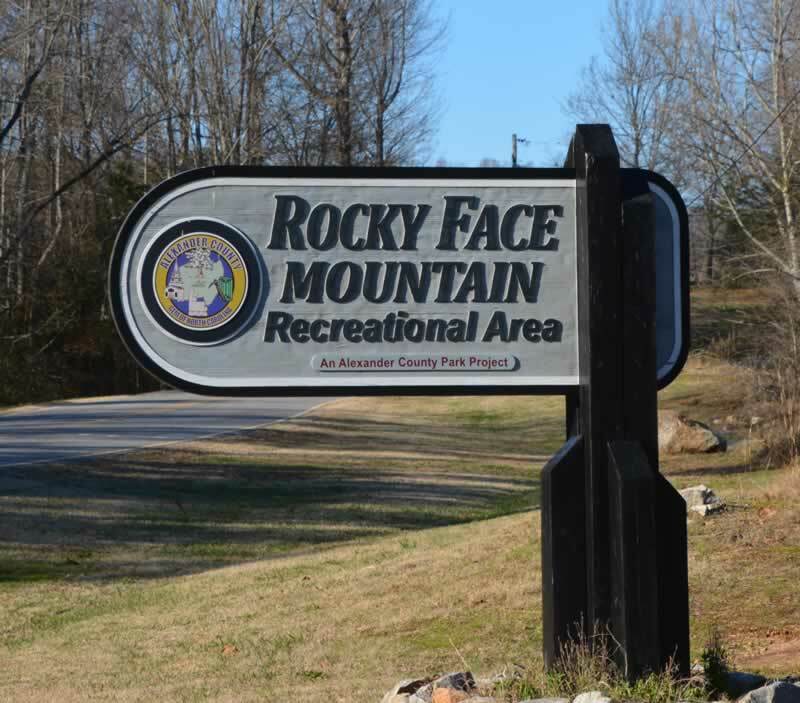 Overall this is a very nice park and I would recommend it to anyone looking for a relaxing place to take a day trip.